Last week we attended Shell’s Make The Future Festival at the Olympic Park here in London. The festival brought more than 30,000 people together to share ideas and innovation for the future of global energy. The Shell Accelerator was a one-day event during the festival that accelerated thinking and team-building through collaborative workshops interspersed with engaging talks and pitches from keynote speaker. 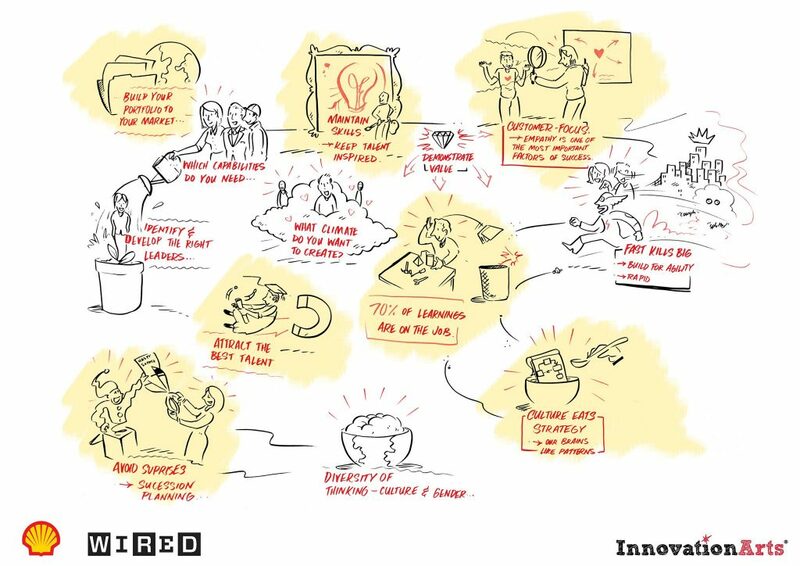 We sent James and Jordana over to capture the content from the Shell Accelerator through graphic recording.